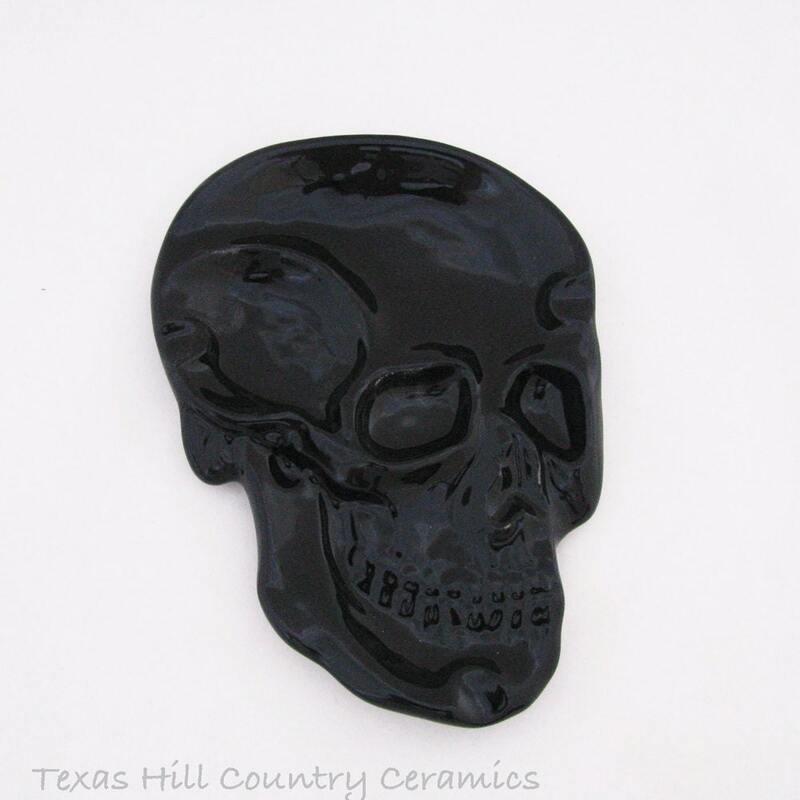 This ceramic skull can be used as a spoon rest, serving snack plate, a tray or skull dish, it can be used on a kitchen or island counter as a catch all or on a dresser to hold mens wallets or keys. The skull plate is detailed as various facial bones create recessed areas and definition. 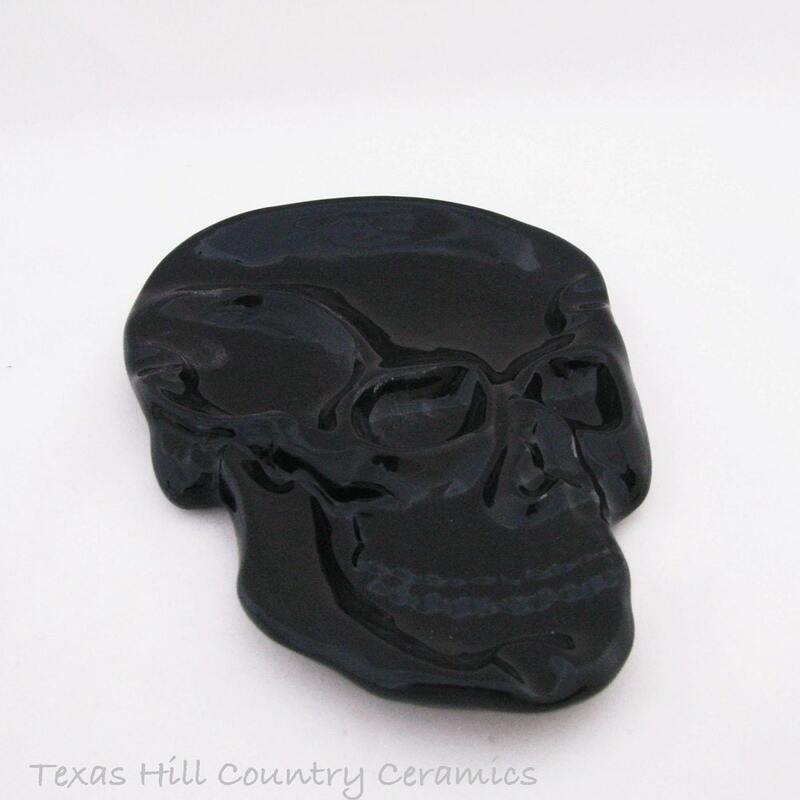 This skull spoon rest, plate or snack dish is just one of many ceramic skull items I have created. 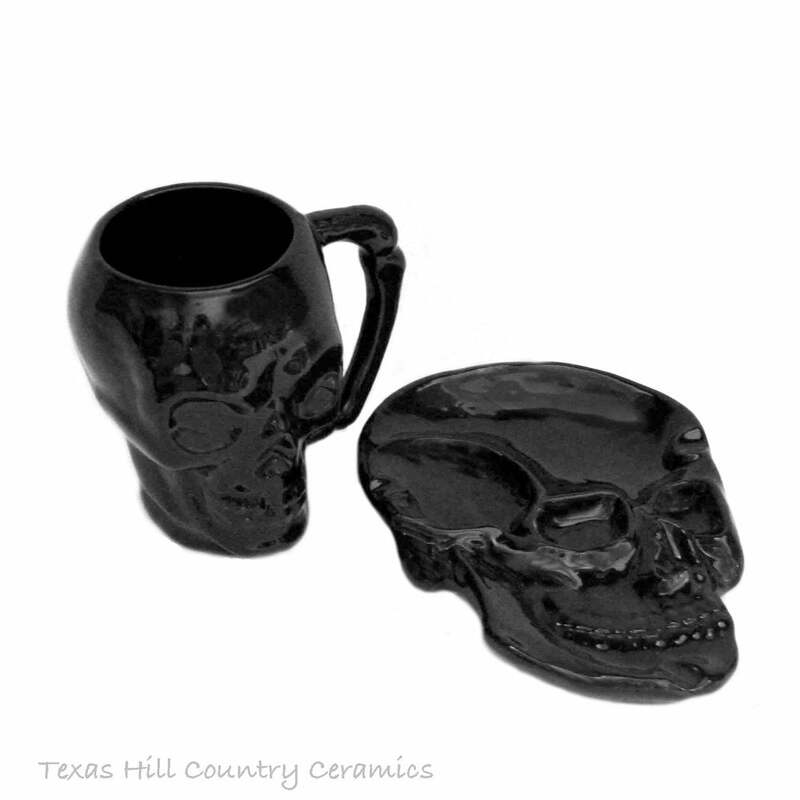 Pair up this skull dish with a skull cup or mug for a perfect set. I have an assortment of skull ware available each addition coordinates with all items I make. 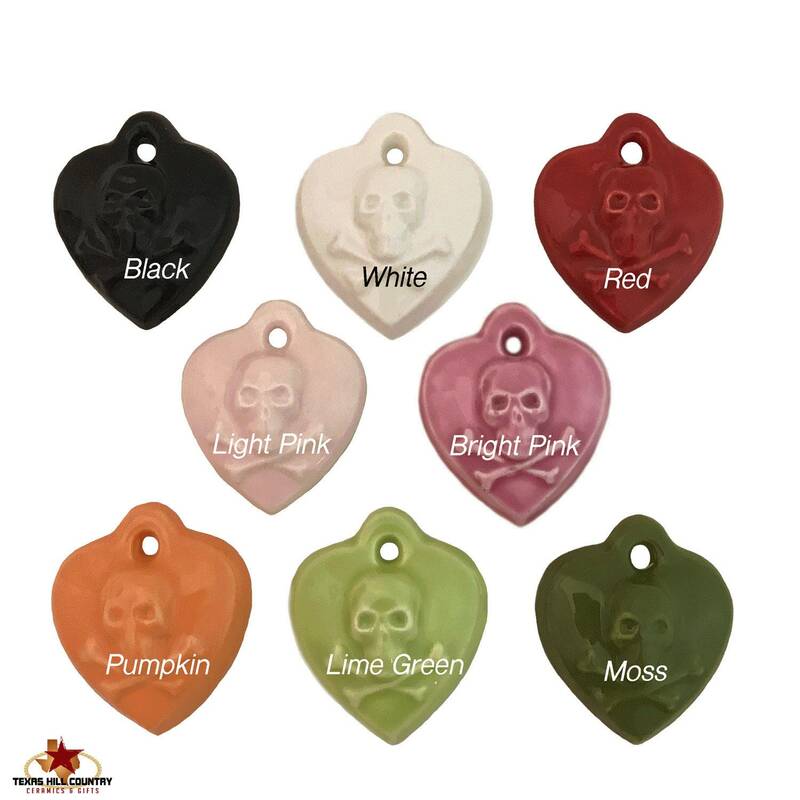 The skull spoon rest or plate is made of ceramic earthenware that is cast solid for added durability. 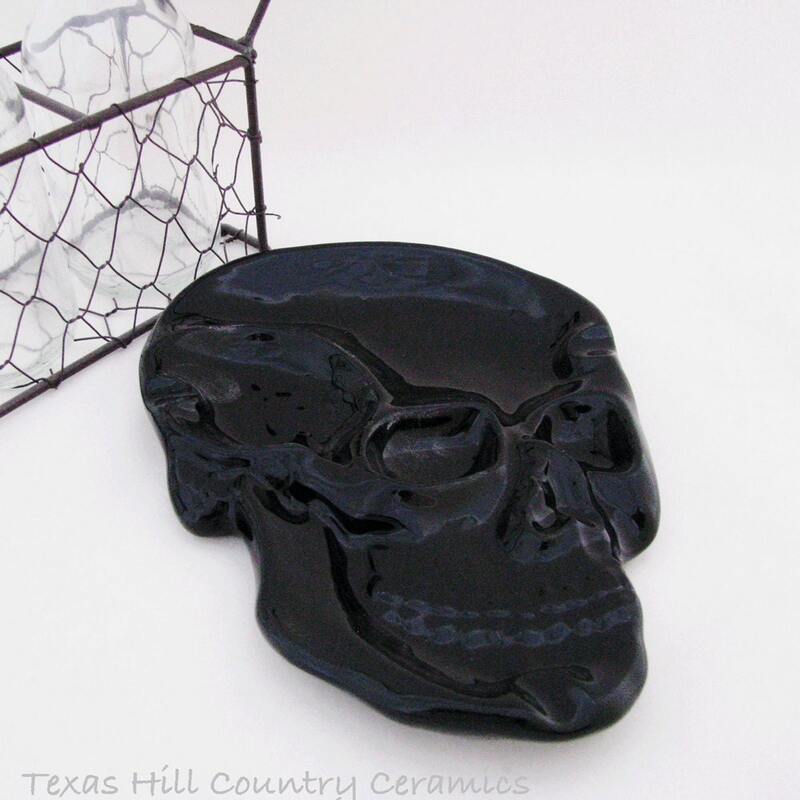 This skull is finished in a glossy food safe lead free glaze in the color of your choice. The skull dish or spoon rest is dishwasher safe.